Synopsis: It’s time for a remedy. It’s time to counter the avalanche of useless stuff with something really essential. 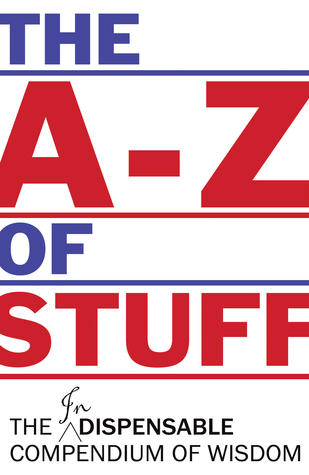 And here it is: everything one could ever need to know in order to retain a hold on what life is really all about – in one easy-to-use compendium of wisdom: The A-Z of Stuff. About the Author: David Fletcher was born in Rugby. He attended the University of Birmingham and graduated with a degree in Chemistry. David then trained as a Chartered Accountant at Touche Ross, which later become Deloitte, where he rose to Partner. He is now retired. He has published fourteen other books with Matador, the most recent of these being Marmite, Bites and Noisy Nights (in Zambia) (2014), The Country-cides of Namibia and Botswana (2015) and First Choose Your Congo (2016). Review: A cheeky and at times, funny (at times rather long winded), collection of insightful essays. It was hard to tell if the author was attempting sarcasm in certain parts, or if the whole work was meant to be completely serious. I think I would have appreciated this more had I shared a nationality with the author or at least followed British politics.